The Commonwealth of Pennsylvania offers a 6-month PAID internship program which provides a flexible pathway for college students to advance from internships to Commonwealth employment in a variety of occupations. Apply by Nov. 1 to be considered for the following spring and summer. The German-American Chamber of Commerce offers PAID internships in Chicago for recent graduates or Study Away students with high proficiency in German. The duration of the internships varies, ranging from one semester to a full year. Areas of interest include Finance, Accounting, PR & Communications, Consulting and more. Find internships where your language skills are needed and can be improved, such as an on-line tutor or language analyst. View the Career Education Internship Resources Page and schedule an appointment with a Career Counselor. Search for internships abroad at GoinGlobal.com and GoAbroad.com. Connect with alumni via GatorConnect. Ties between Meadville, Pennsylvania, and Fismes, its sister city in France, date from World War I. Located in the Champagne-Ardennes area, just west of Reims, Fismes (population 5,500) was rebuilt after 1918 with help from the City of Meadville and the Commonwealth of Pennsylvania. Historically, a more robust relationship between the two towns has been impeded by the problems of distance and language, but as the centennial of this relationship approaches, Allegheny College and the Mayor’s office of Fismes are instituting a month-long summer internship in the Mayor’s office for qualified and interested Allegheny College students. In Fismes, students work in a variety of offices and municipal institutions and develop an understanding of local government and issues in a small French city. Typically, the internship takes place between in late May/June. Students bear travel expenses, but may apply to Allegheny College for scholarship help; they receive room and board, but there is no financial compensation. For more information, please contact Professor Laura Reeck (lreeck@allegheny.edu). Applications may be obtained in Ruter 104 or by emailing Ruter Hall Coordinator Reese Campbell (rcampbell@allegheny.edu). Students not enrolling in the College-sponsored programs may, with the approval of the department and the Director of International Programs and Services, join other programs. Study abroad may exempt students from enrollment in certain required courses for the major on campus. What is it? Fluency in a foreign language. From CNN Money. Data and research show learning a second language can expand job opportunities, help maintain brain health and strengthen decision making skills. Other benefits of being bilingual listed in this article include potential salary increases and positive effects on attention span and memory. From Lifehacks at TheNextWeb.com. Even on conservative estimates, speaking another language translates into a big earnings boost. From The Economist. SouthernTeachers – Placement service for private schools in the Southern U.S.
Students are strongly encouraged to submit their Senior Projects electronically to D-Space for the College archives. A faculty reader’s print copy will also be retained for the Department archives. All students are required to complete a foreign language placement exam before registering for a language class if they have had previous coursework or significant exposure to the foreign languages in which placement testing is available. 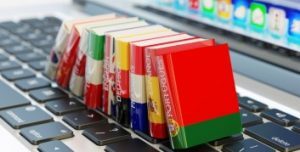 Students who have had no previous language study do not need to take a placement test; they simply register for the introductory language course. Placement exams are taken online, and are available in Chinese, French, German, Latin, and Spanish. The tests follow a multiple choice format and generally take 15-20 minutes to complete. Test questions will assess grammar, vocabulary, and reading skills. Tests for Chinese and Latin will be automatically sent to the Building Coordinator of the Modern & Classical Languages department for assessment. The tests in French, German and Spanish are adaptive and will automatically structure the type and number of questions based on responses. These adaptive tests will report that the student has completed the test successfully and give a 3-digit score. This score will determine the student’s suggested course placement. The tests are usually quite accurate in determining the best match for continuing language study at the appropriate level. However, it is not an exact science, and, particularly in “borderline” cases, students are encouraged to discuss their placement with a language department faculty member. Those considering study abroad are STRONGLY advised to begin language study as early as possible in their Allegheny careers. For more information about the placement process or how to register to take a placement test, please contact Department Coordinator Reese Campbell at rcampbell@allegheny.edu.